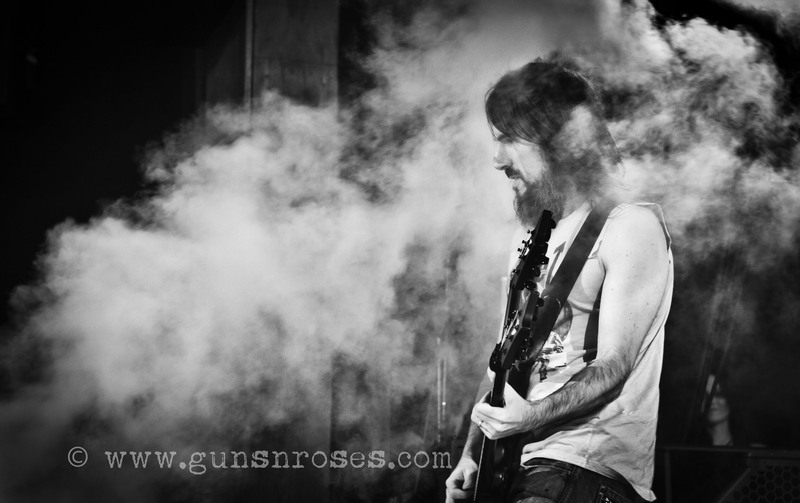 Ronald Jay Blumenthal, Ron Thal. 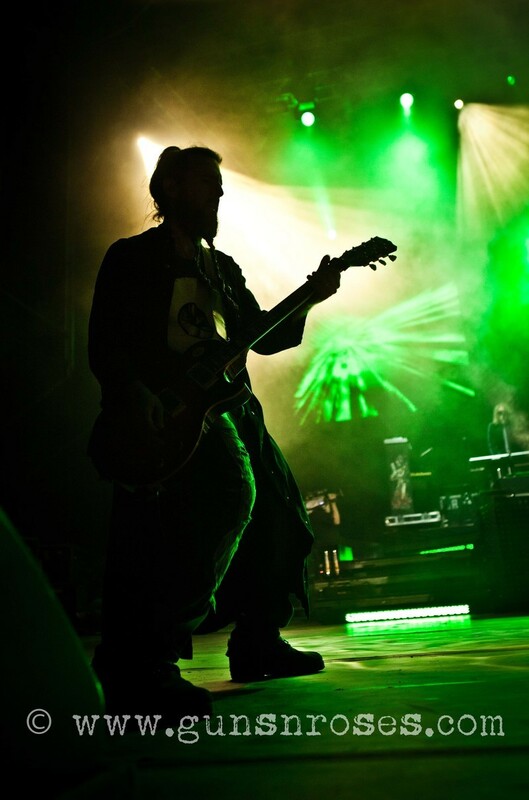 2006 - 2014/2015. 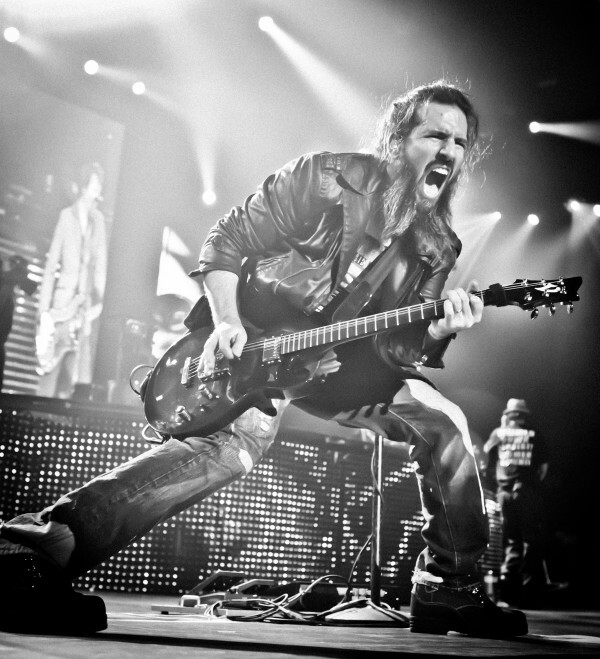 The specific exit date is hard to set since Bumblefoot never gave an official statement about quitting the band. 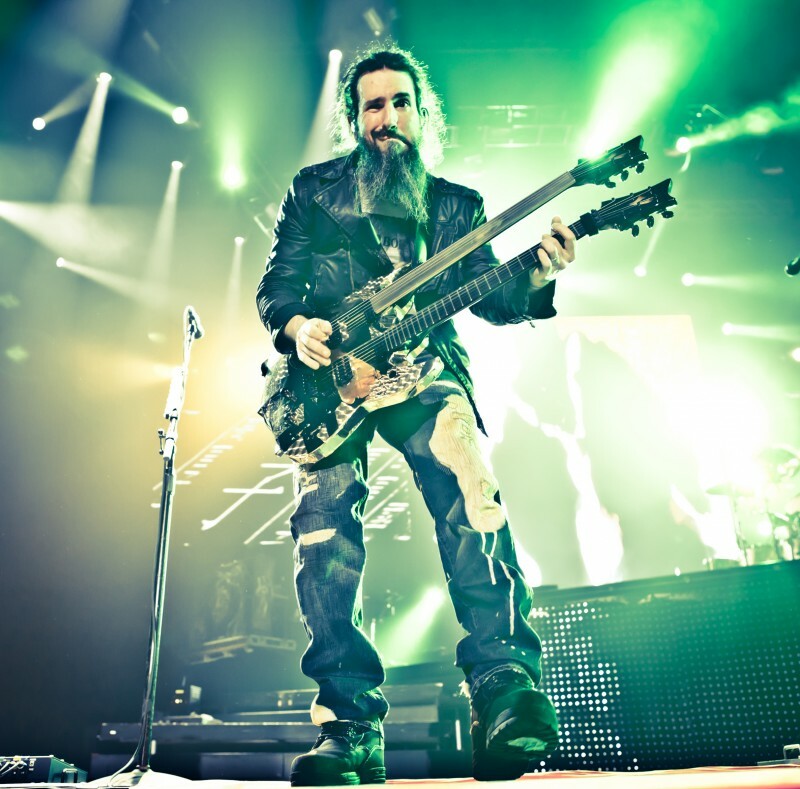 He did, though, confirm it on Facebook in July 2015, although he might have handed in the resignation on the date after the last show in 2014 (June 2014). 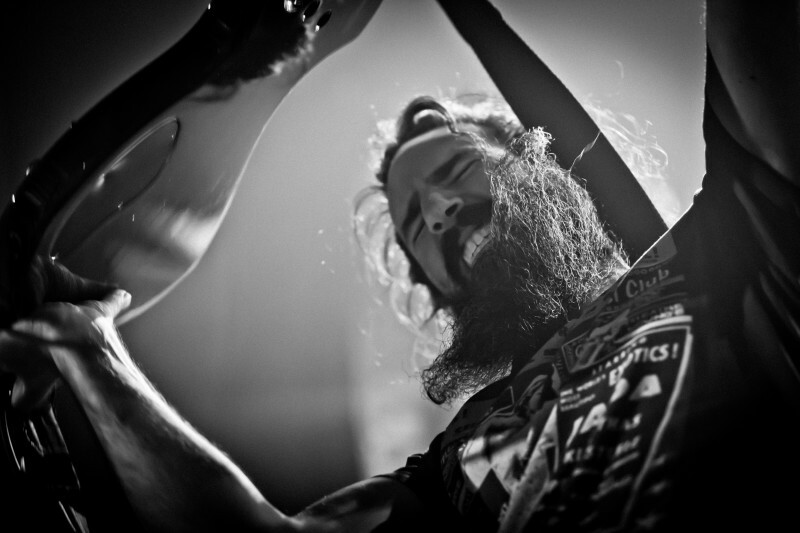 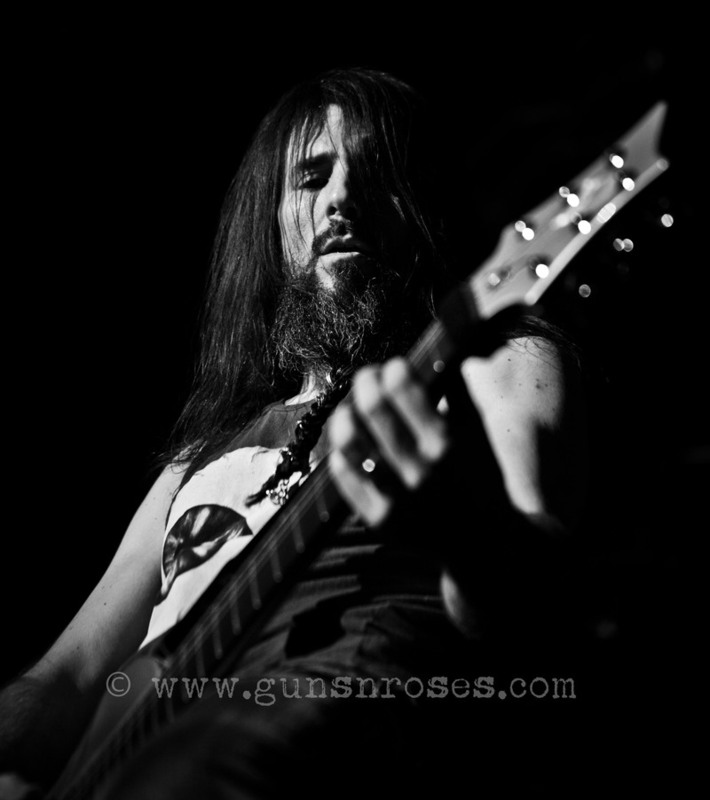 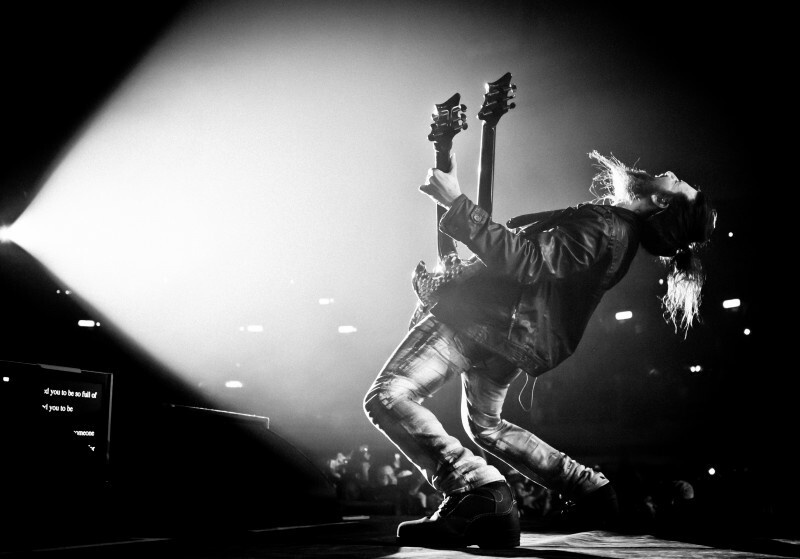 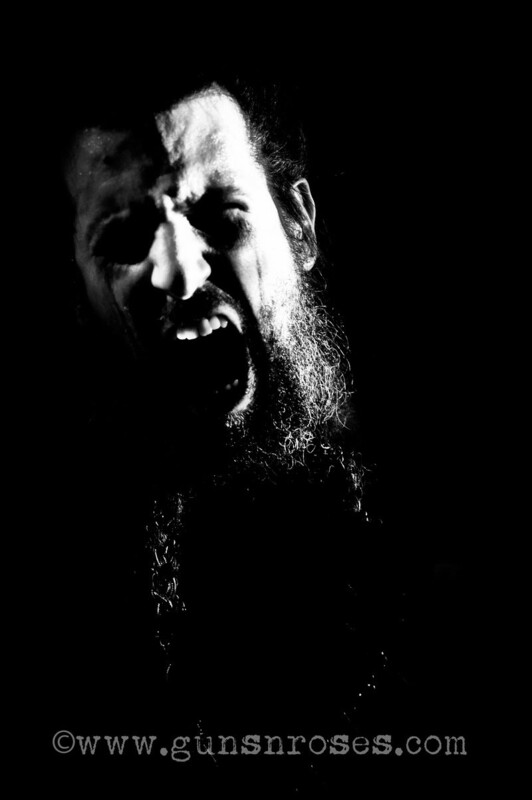 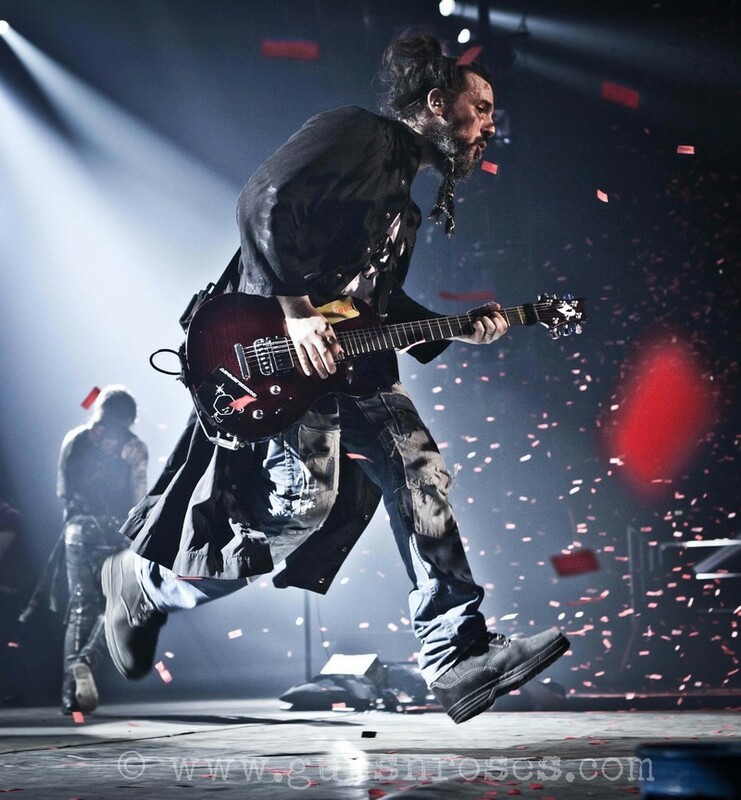 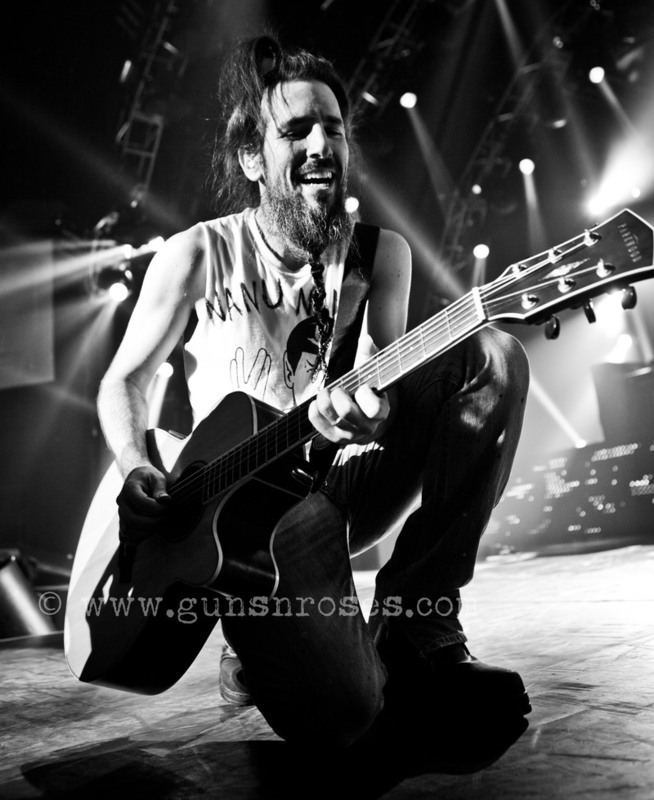 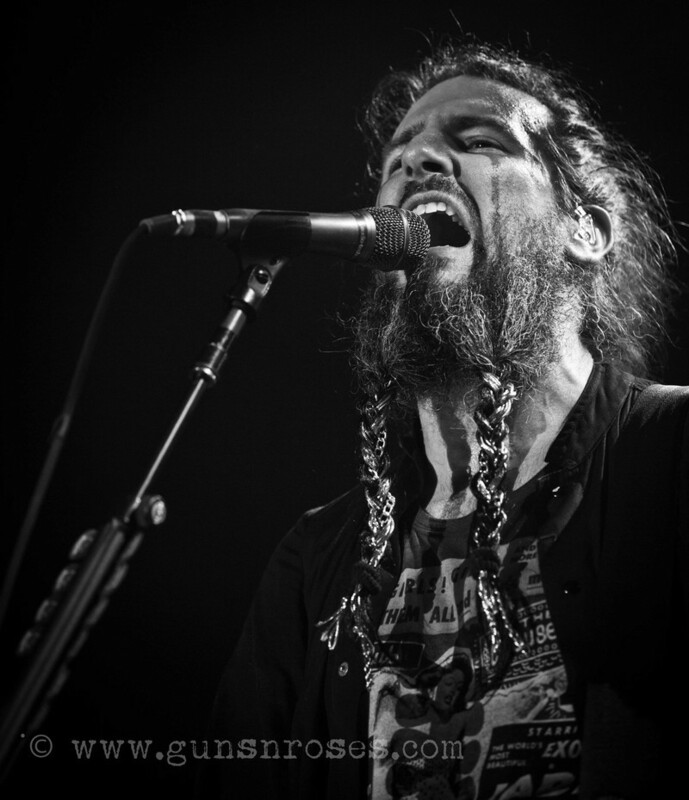 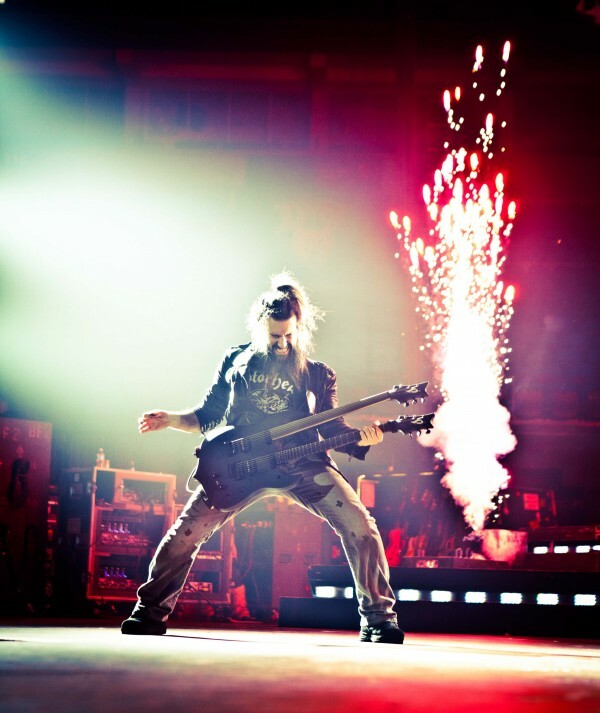 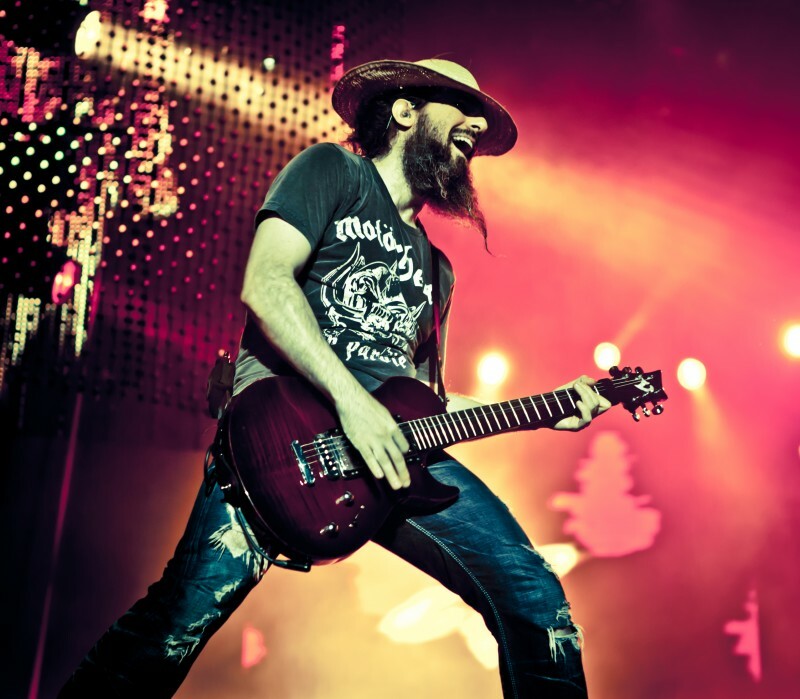 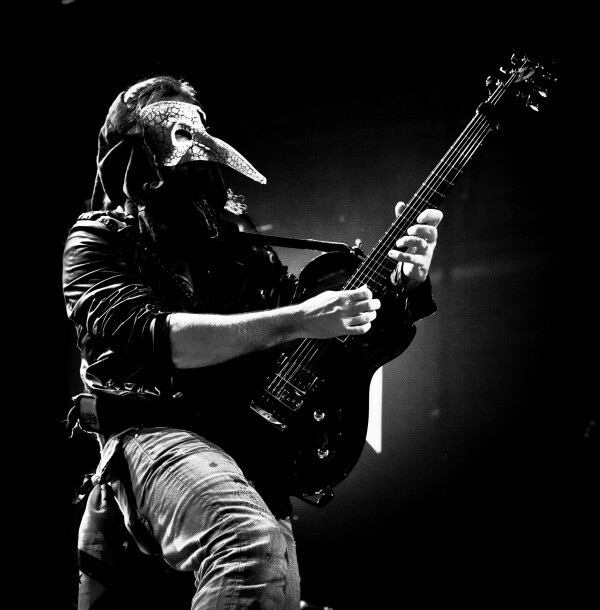 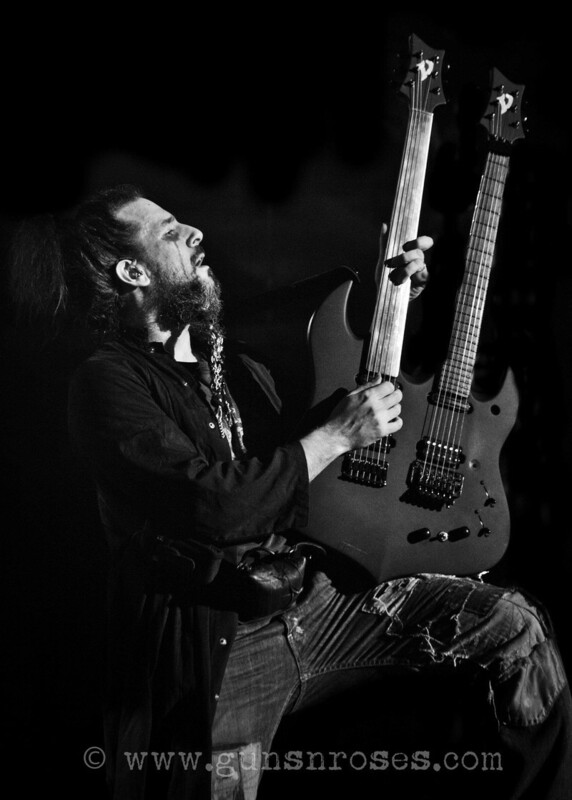 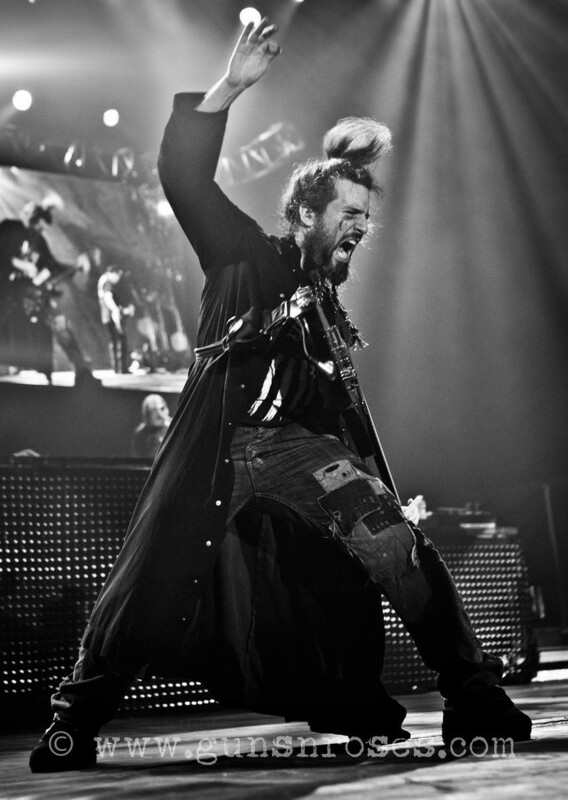 Finally someone in GN'R has provided the database with a quote on Bumblefoot! 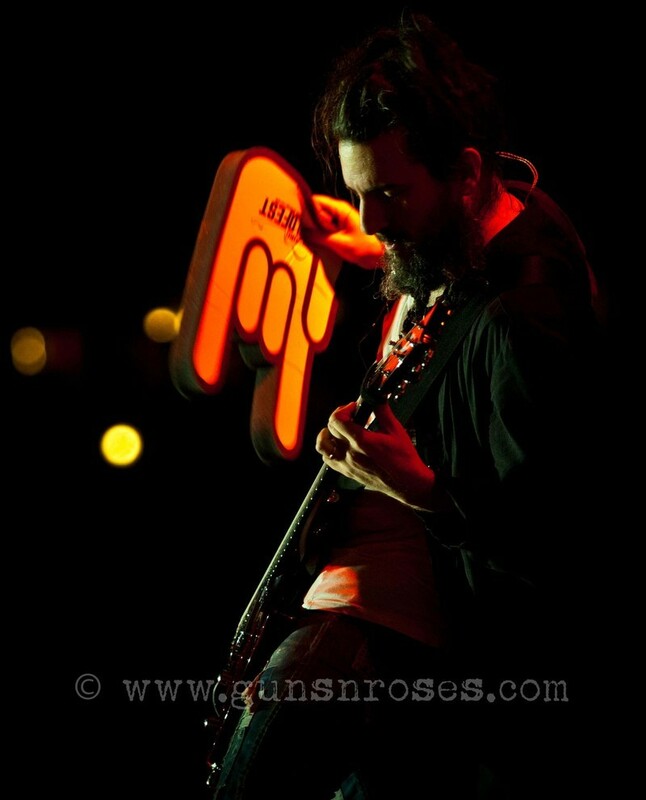 And may be be many more years! 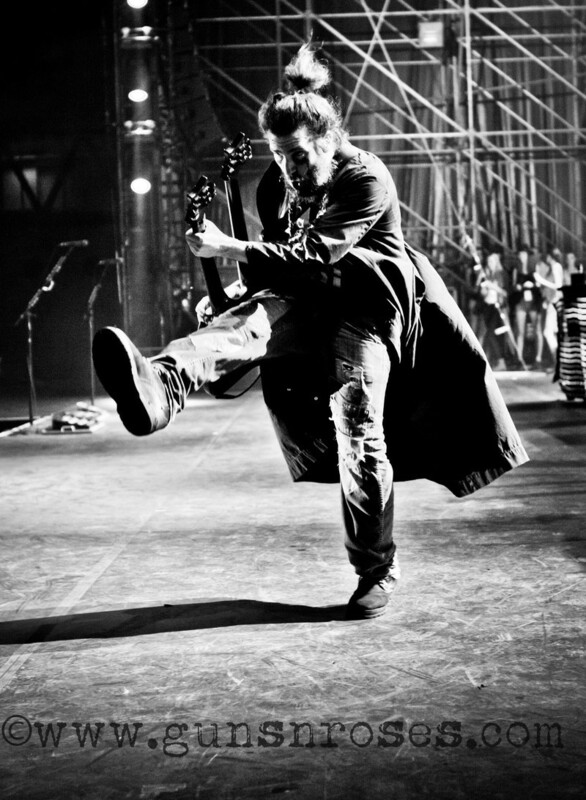 Although I really don't like his posing during concerts (why is he standing like that? 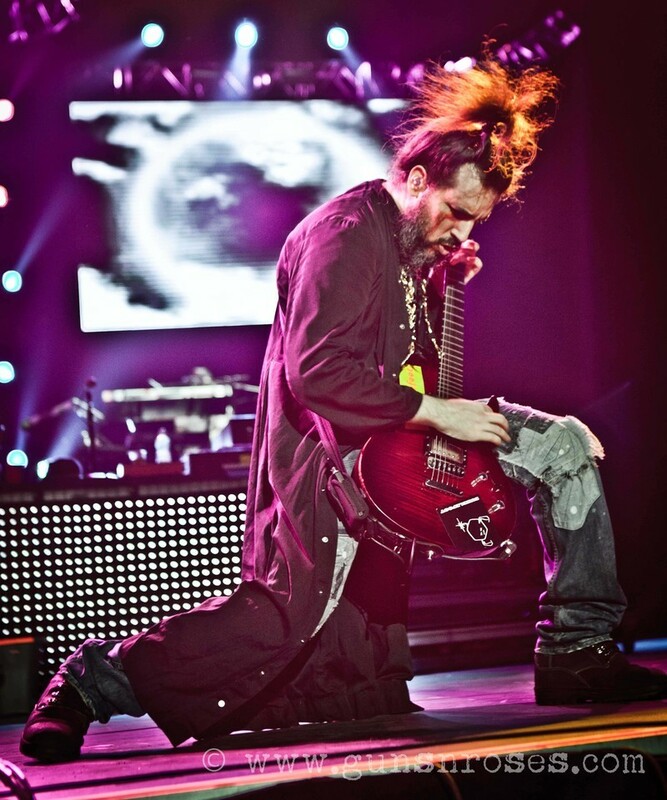 Arcing his back and closing his eyes like he knows pure brilliance is coming from his guitar? 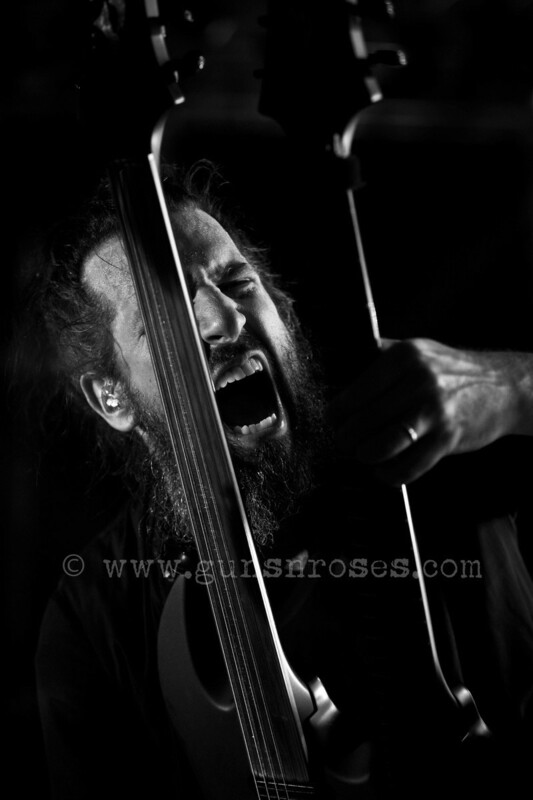 Has he got constipation? 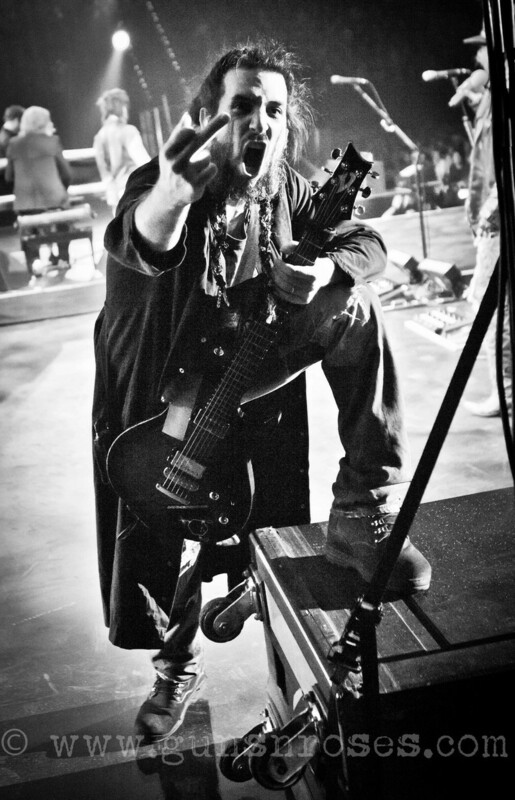 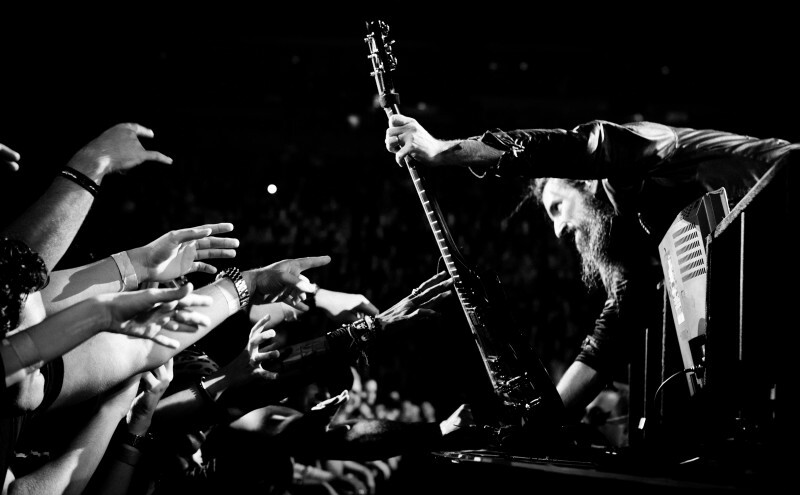 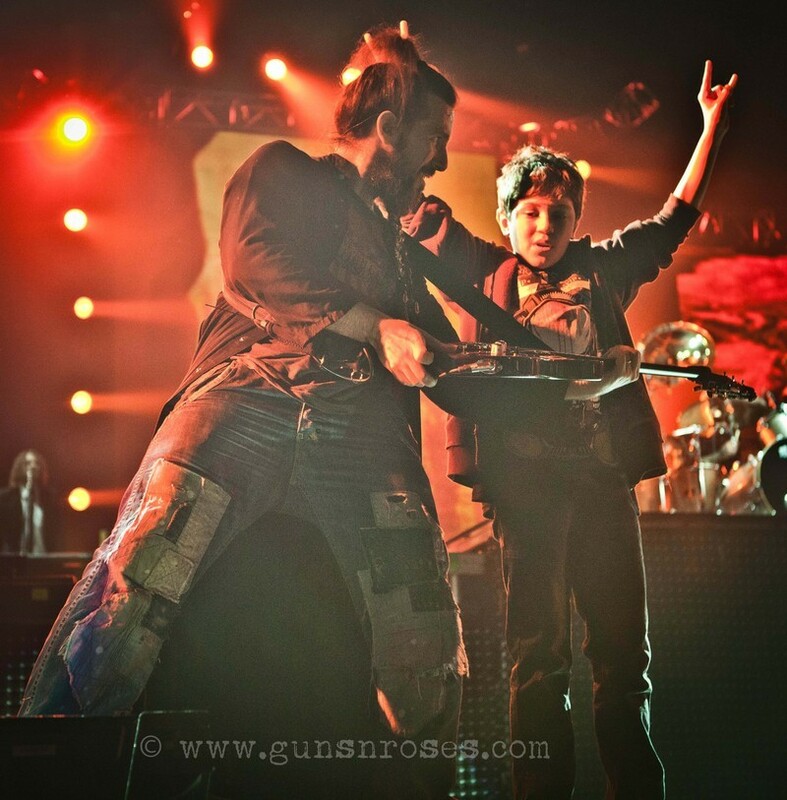 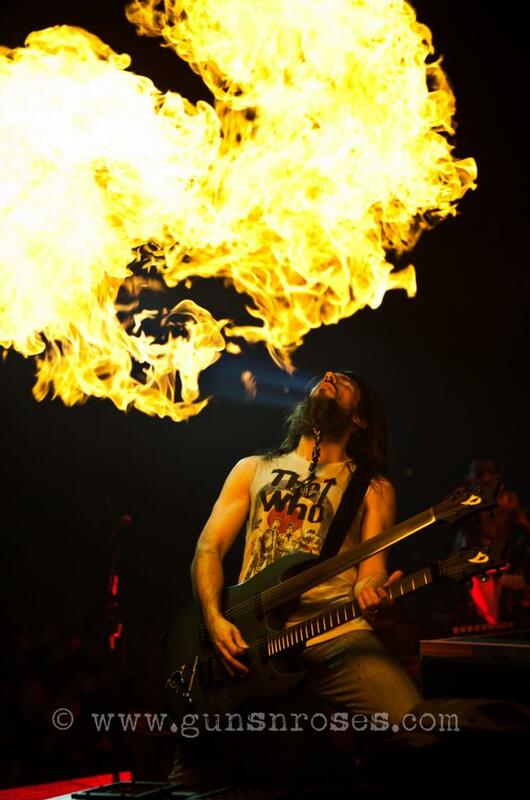 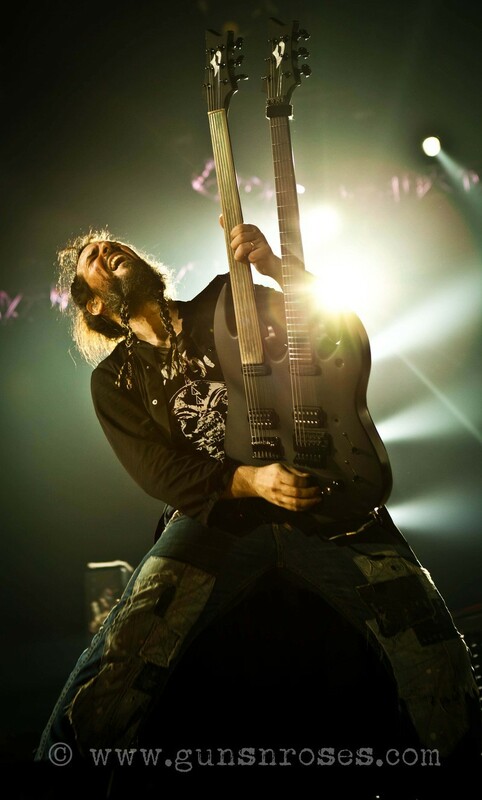 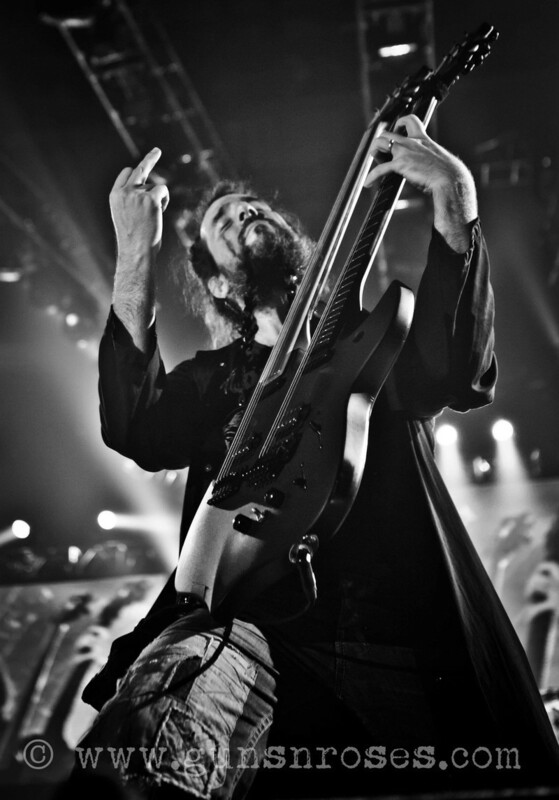 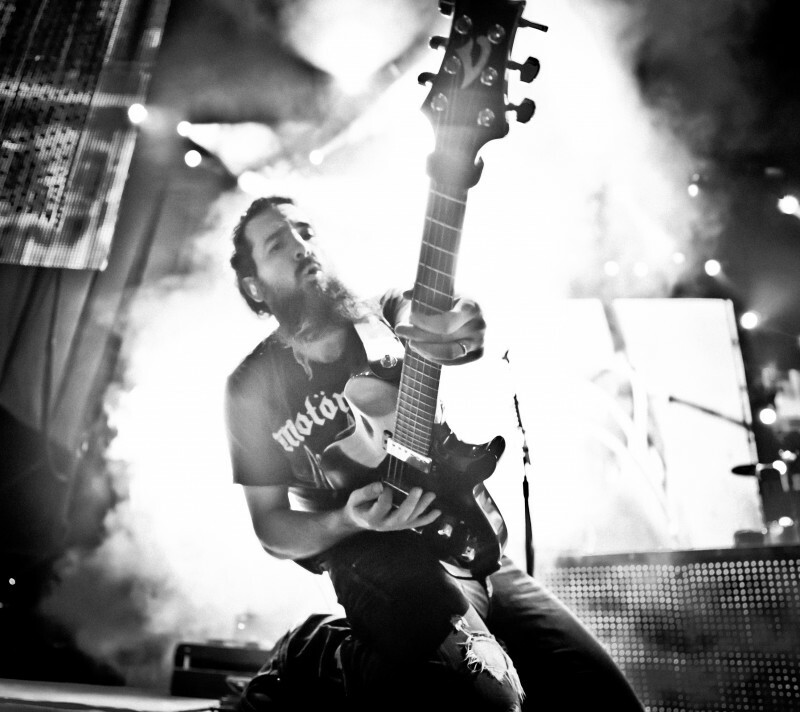 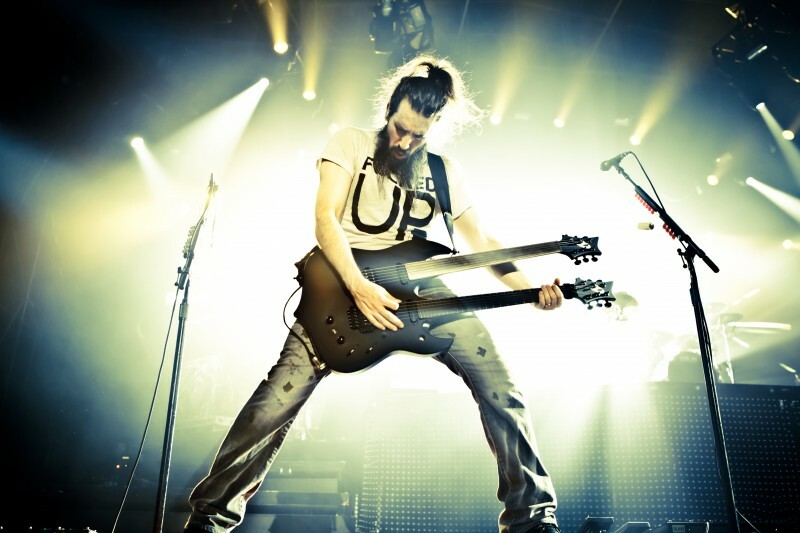 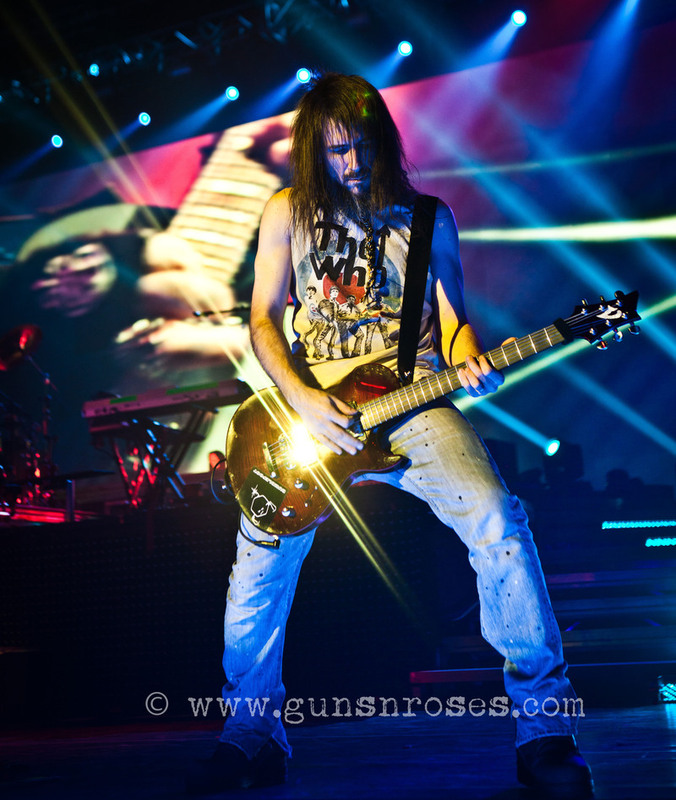 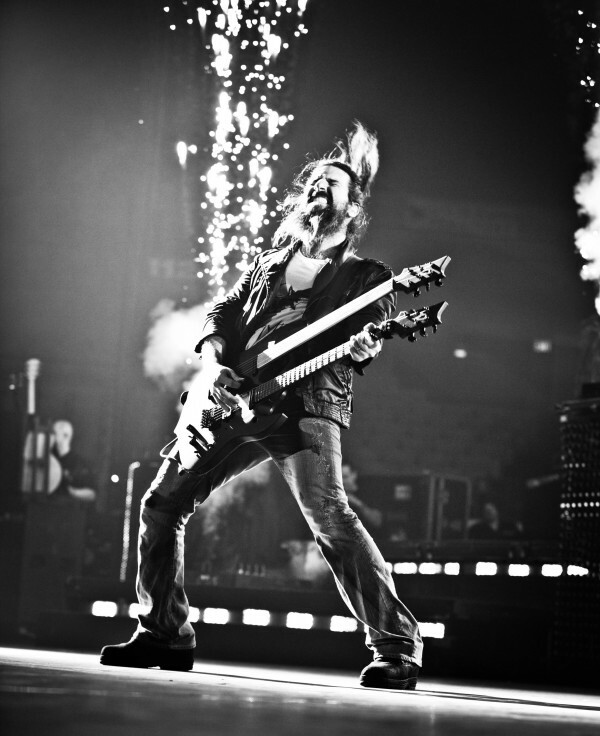 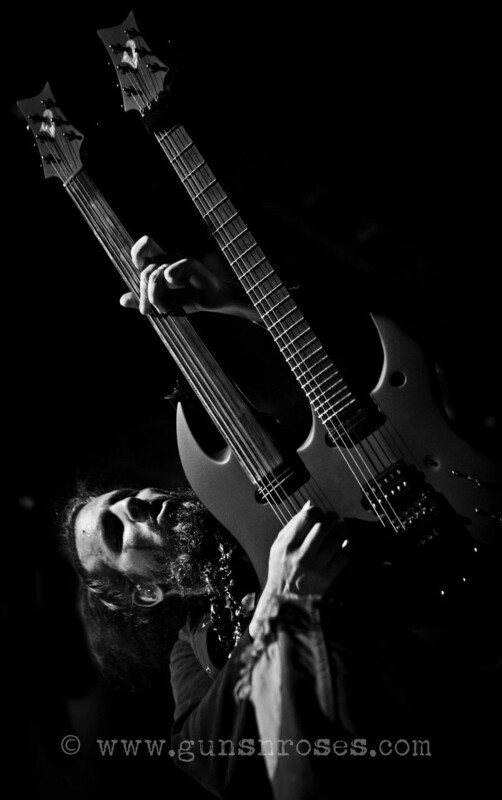 And why does he raise his hand before solos, is it that important the audience knows a great Bumblefoot solo will come? 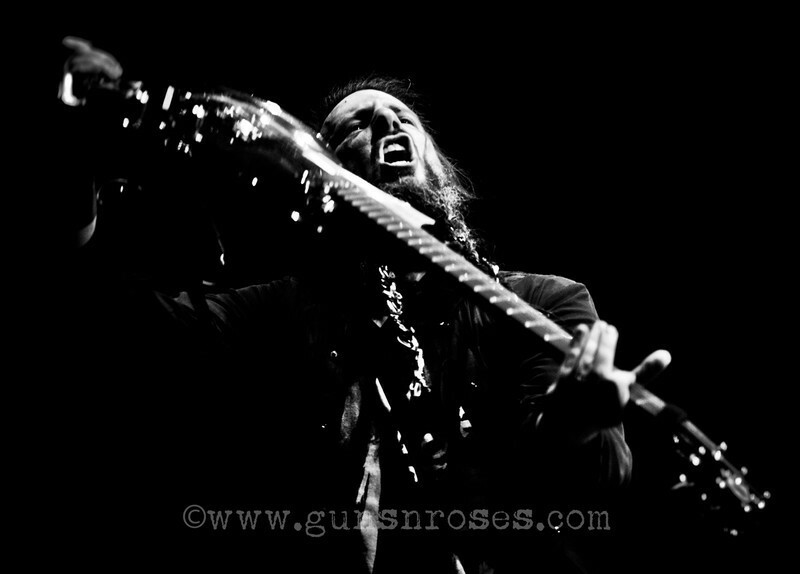 ), I have to say there are some great photos of him now. 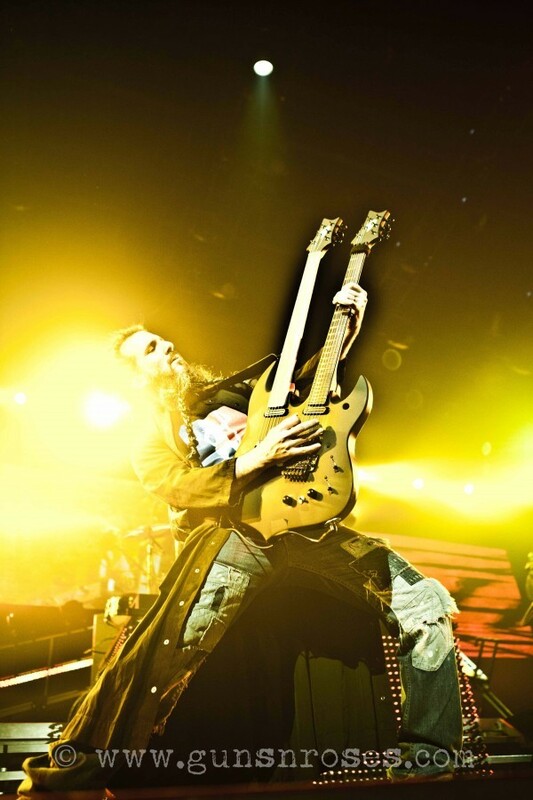 I hope he helps it fly. 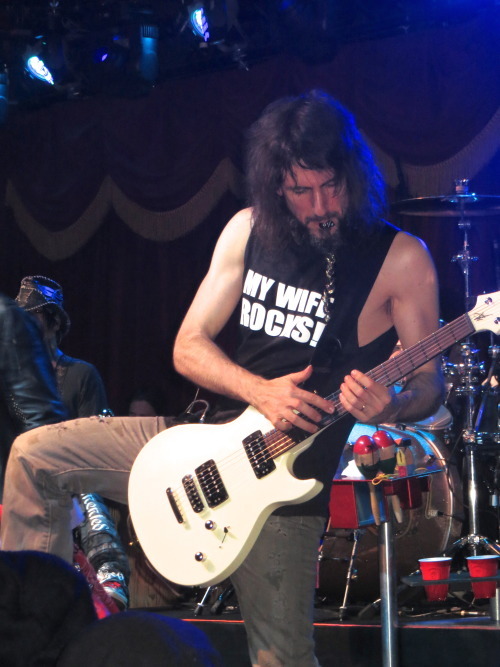 Let me go on record and reiterate, "Ron is on his way to becoming qualified for Cultural Ambassador". 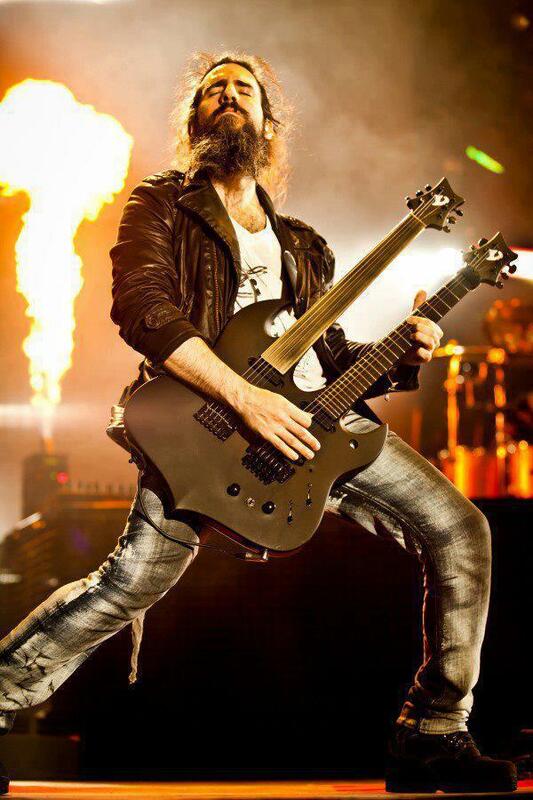 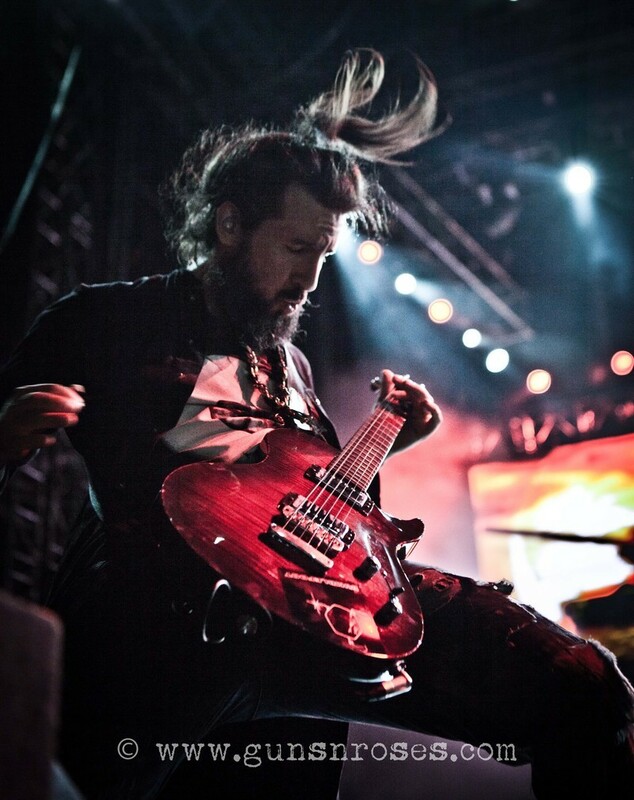 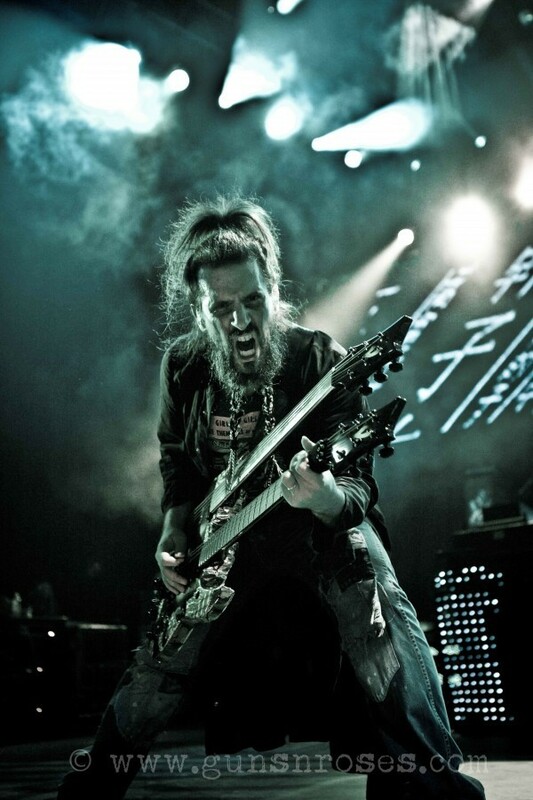 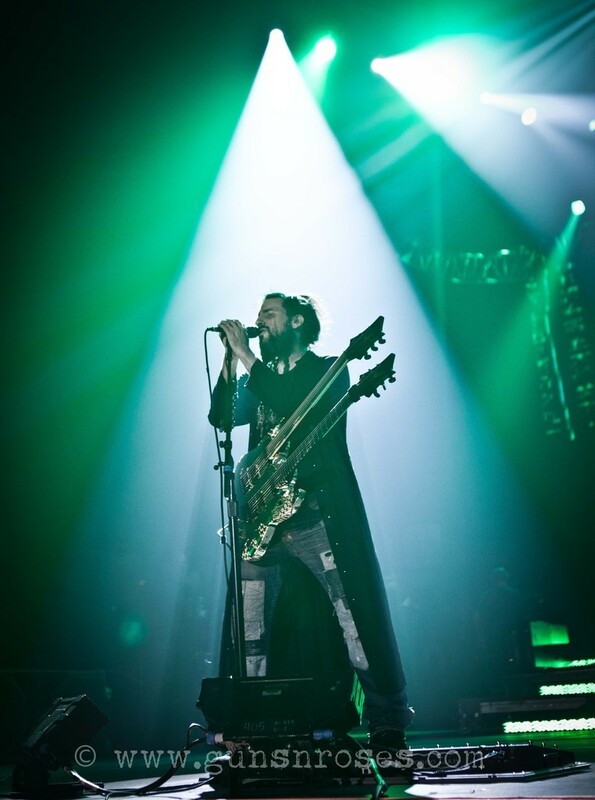 Through HDI's "Music Matters" program, Bumblefoot has been asked to be a cultural envoy to the United Nations, meeting delegates, talking with students and bringing people around the world together through music. 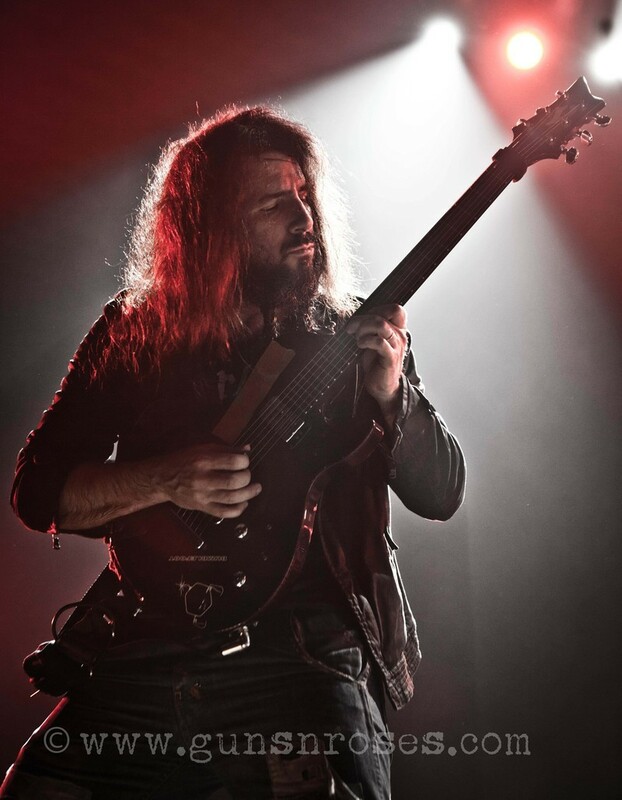 Following a solo tour in Italy, and a week of guitar workshops on the Greek Island of Corfu, his first trip as an envoy will be to Albania, where he will perform and spend time with students and local musicians. 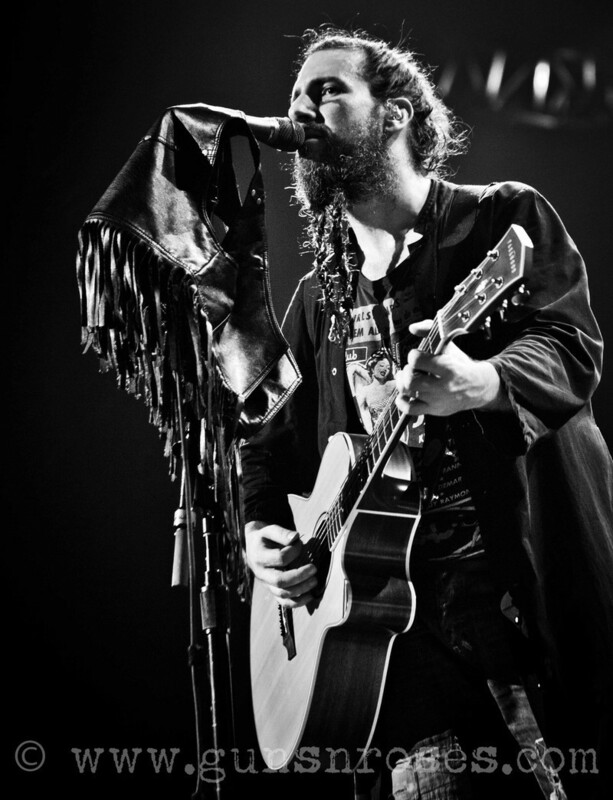 From there he continues his tour in Tunisia where he will judge a music contest and perform."